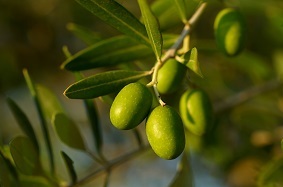 Mediteanox™ is a natural extract obtained from olive (Olea europaea) grown in Spain. Mediteanox™ is obtained by a patented technology, using extraction procedures based on ultrapure water. Mediteanox™ is a unique combination of olive polyphenols, including hydroxytyrosol (HT), a potent natural antioxidant. 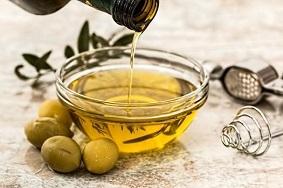 Olive polyphenols are the only ingredient, outside the vitamins and minerals category, with an EU health claim granted for the antioxidant function: “The polyphenols present in olive oil contribute to the protection of blood lipids, LDL-cholesterol, against oxidative stress.” In order to support this statement, the daily intake should be at least 5 mg of hydroxytyrosol and its derivatives in olive oil. The application of HT in edible oils and soft gelatin capsules capable of contributing to the protection of blood lipids from oxidative damage (oxidation of LDL cholesterol represents a key event in the development of atherosclerosis) has been protected through our patents EP2170090 and US9132104. Inclusion in food supplements, foods, nutraceuticals, cosmetics and pharmaceuticals. Optimal dose of 5 to 10 mg HT/day depending on the application.